Make your vacation destination your own backyard! 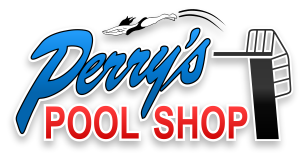 Perry's Pool Shop is the exclusive builder for Sun Fiberglass pools in the southern Indiana area. The pools are manufactured under strict quality controlled conditions in Kentucky. Sun Fiberglass Pools proudly provide a Lifetime Structural Warranty and a Three-year Surface Warranty. A swimming pool has key benefits including entertaining the kids and making your house the focus of kids' gatherings, allowing more supervision and more interaction. Entertain friends and family, exercise, relax or just use as a visual focal point. 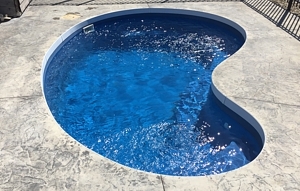 Fiberglass pools also include a hard, solid surface creating a scratch safe environment from the claws of your four-legged friend who loves to swim! Fiberglass pools are among the best in pool design and structure. They have unique designs, colors and a large variety of shapes and styles. Faster installation, because the shell is made in a factory. Fiberglass pools are low maintenance. The surface of the pool is smooth and have a non-porous finish which makes cleaning very easy. Algae does not adhere to fiberglass pools the way it does on other surfaces. They retain heat well and do not use as much chlorine as other pools.